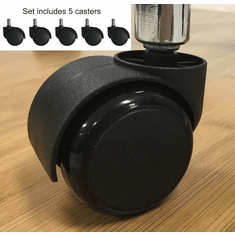 Sleek, supportive and IN STOCK! 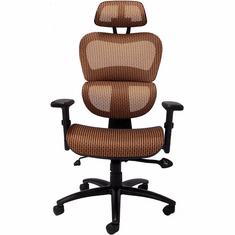 The HumanFlex Chair features premium office chair functions with all day comfort. Choose from six eye-catching elastic mesh colors in either Black or White Fog Frame colors. Ships unassembled. Shpg. wt. 47 lbs. Meets Fire Code CA117. 5-Year Limited Warranty. PRICE INCLUDES SHIPPING! IN STOCK! 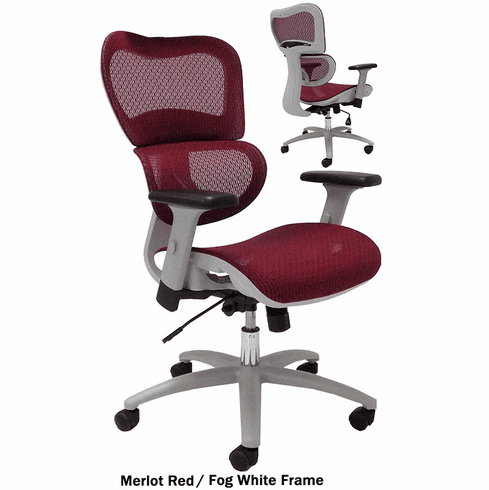 * Elastic mesh seat and back breathe and will never "bottom out" like a traditional foam cushion office chair. * Incredible wear and durability of elastic mesh is unequaled. 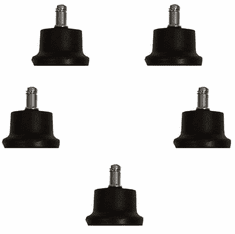 * Sturdy and strong all steel base for a firm foundation. 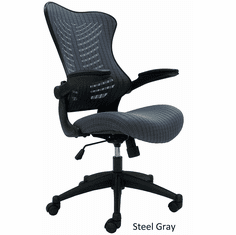 * Built-in flexing lumbar section providing steady and constant support to lower back. * Advanced mechanism keeps front of chair from lifting while in recline position, eliminating pressure on the back of legs. * Waterfall front seat edge. * Soft yet tough polyurethane arm pads for forearm comfort. * 2:1 back to seat synchro tilt with infinite lock allows ideal user angle. 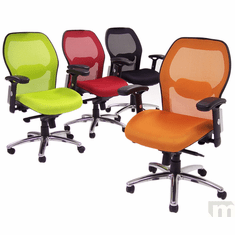 * 3-way adjustable armrests adjust fore/aft, up/down and even pivot inward to meet a wide variety of user preferences. * Measures 26"W x 26"D x 39"-43"H overall. * Seat measures 19-1/2"W x 20"D.
* Backrest measures 20"W x 24"H.
* Seat height range is 18" - 22"H from top of seat to floor.